There were a few books I was dying to receive for Christmas, and my husband came through big time! At the top of my list (okay, let's be real, there were 5 things at the top) was the book Patternmaking for Menswear. I first saw this book on Instagram, via Andrea at four square walls. Then I read Peter's review on Male Pattern Boldness and had. to. have. it. This book reminds me a lot of the Sew U books by Wendy Mullin. 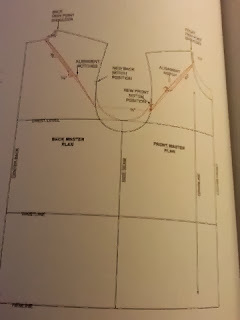 The beginning introduces slopers (in this book, an upper body, a sleeve, and pants) and then shows how to alter a flat pattern for a completely different look. There are 20 different variations on the slopers and details on how to draft them. You'll find everything from a knit polo to outerwear. 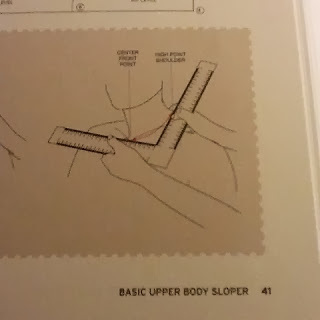 Obviously, the bulk of the work is in drafting the slopers, but this book gives a thorough explanation of how to do it. All without the trouble of bust darts : ) There's also information about grading and some industry processes. One thing that is NOT in this book is information on construction and actual sewing. 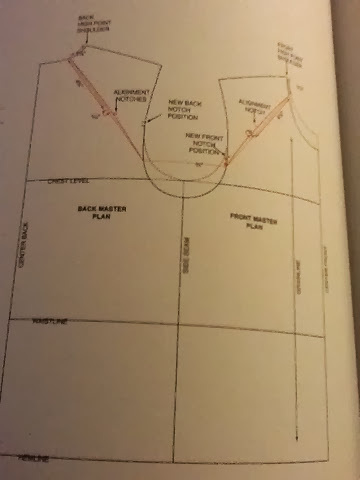 This is strictly a patternmaking book, and a very detailed one at that! 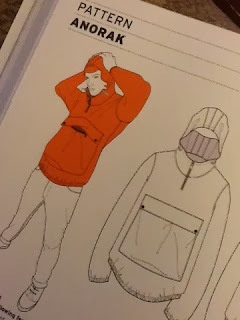 I think we're all amazed at how a boring, boxy sloper can evolve into something like, say, a hoodie. It's one part good design, and ten parts math, from the looks of it! I'm not overly fond of math, but I don't mind using it for the sake of menswear drafting. The current men's pattern options are beyond sad. If you've ever tried to sew for men, you already know that. Pajama pants! Scrubs! Fleece vests! Thanks Big 4. I definitely want to focus on sewing for my husband this year, and in order to do that well I will need patterndrafting skills. I'm grateful to have this book on my shelf as a reference. I don't think he'll be asking me for an anorak anytime soon, but it's still cool to know how to draft one! Mine is really hard to fit in RTW. I figured that if I spent a tenth of the time sewing for him as we do fruitlessly shopping, it will be worth it!